Effective design and branding gives your business a visual identity, it creates recognition and strengthens your brand. Good branding can help position your company to attract the right kind of customer for your business. Creating a brand that connects with consumers can be incredibly powerful. Consumers who trust a brand and feel connected to them are more likely to make purchases, word of mouth recommendations and be loyal to the brand. If you think about it we are all in some loyal to brands, many of us have a particular product we use whether it be a certain cosmetic range, soft drink or mobile device. 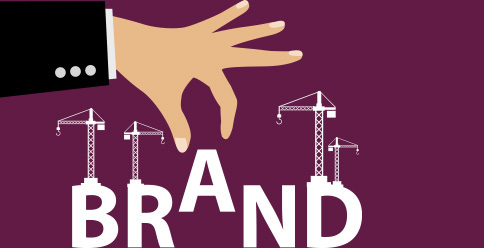 Let’s take a look at four ways branding your business can build brand trust. Consumers expect a lot from the brands they choose to support. More than a great product or service, it’s the passion and cause at the core of the company that makes an emotional connection between the brand and the consumer. Emotion is one of the biggest triggers when it comes to marketing, think of the last brand you told friends, family and colleagues about, the likely cause for why you were talking about the brand was the emotion it made you feel – such that was happiness, awe, shock or surprise. It’s one thing to provide the opportunity for your customers and community to give their feedback and voice their desires. It’s entirely another to show them you’ve listened by responding through action. When you truly listen to someone, you gain their trust, and more importantly, their respect. An example of a brand that has listened to their audience is Pinterest with the launch of their buy it now button. Whilst we are not denying that conversions are important, relationships built on transparency and honesty will lead to greater conversions. Now more than ever businesses are competing for attention among so much noise, earning conversions is becoming increasingly difficult. The key to creating content that will drive conversions is to optimise the content for building the relationship with the consumer not the conversion. As a consumer if you feel a salesperson is genuine you are more likely to trust them and this relationship will influence your decision in the purchasing process. Everything you say about your brand, everything you convey about your brand is a promise. Every conversion, every time they choose to buy, download, or subscribe is an agreement. You promise to provide something of value or to care about certain things or to work toward certain goals; they promise to engage with you as a result. Ensuring you deliver on these promises will instil the honesty and integrity of your brand and will help with customer retention.